Santa Barbara County is getting it's first ever Cat Cafe. What is a Cat Cafe? It's a magical place where animal lovers get to cuddle and play with adoptable shelter cats in a coffee-house like environment. Not only does it help to get more cats out of shelters (making room for them to rescue even more lives), but it is also guaranteed to make your day! What is the purrpose of a Cat cafe? To reinvent the way people connect with rescue cats, so that we can help shelter cats (specially adults) gain more exposure and find their forever homes. By fostering cats, we also help create more space in shelters, which enables those shelters to help even more cats! We work together with ASAP, ResQcats and the Ventura County Animal Services. In Santa Barbara, a lot of people can't have their own pets, specially college students! Another important goal of Cat Therapy is to provide animal lovers that can't have pets of their own, with a space where they can feel at home and enjoy the company of these fuzzy little animals. We have a purrfectly crafted menu selection from another magical place called Brasil Arts Cafe. Our guests can tell us what they want when they're checking in to the reservation, we'll take their order and bring it over to them, all while they continue having the best time ever. Yeah, no food is made or stored in-house, do not worry! All of our cats come from local shelters and will be up for adoption. This means that if you fall in love, you can take your new soulmate home (unlike the human world). 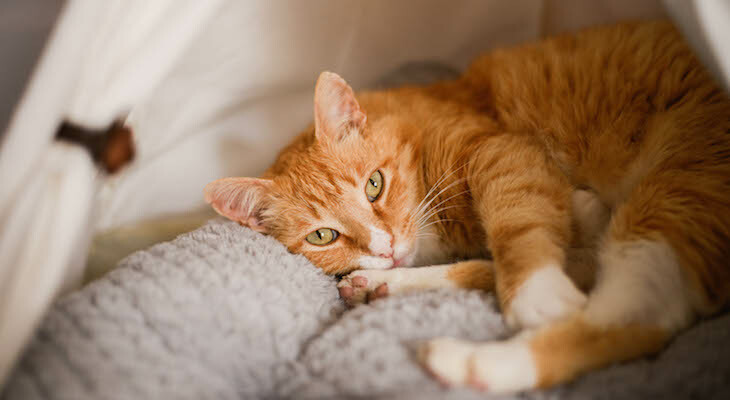 By providing people with a different platform to connect with rescued cats, we hope to raise the adoption rates in Santa Barbara. Reservations are $10 during weekdays and $12 on weekends for 75min of kitty time. Bookings can be made very easily on our website www.cattherapysb.com/book-now.